Using Permajet Digital Transfer Film you can create negatives from digital images. All you need is inkjet printer and you can print your own “digital negatives”. You can then use these to print with traditional photographic paper in the darkroom. Digital negatives are popularly used in multiple alternative processes. Including, Argyrotype, Cyanotype, Salt Printing and Photographic Emulsion. Digital Transfer Film allows you to print any of your images for use these processes. 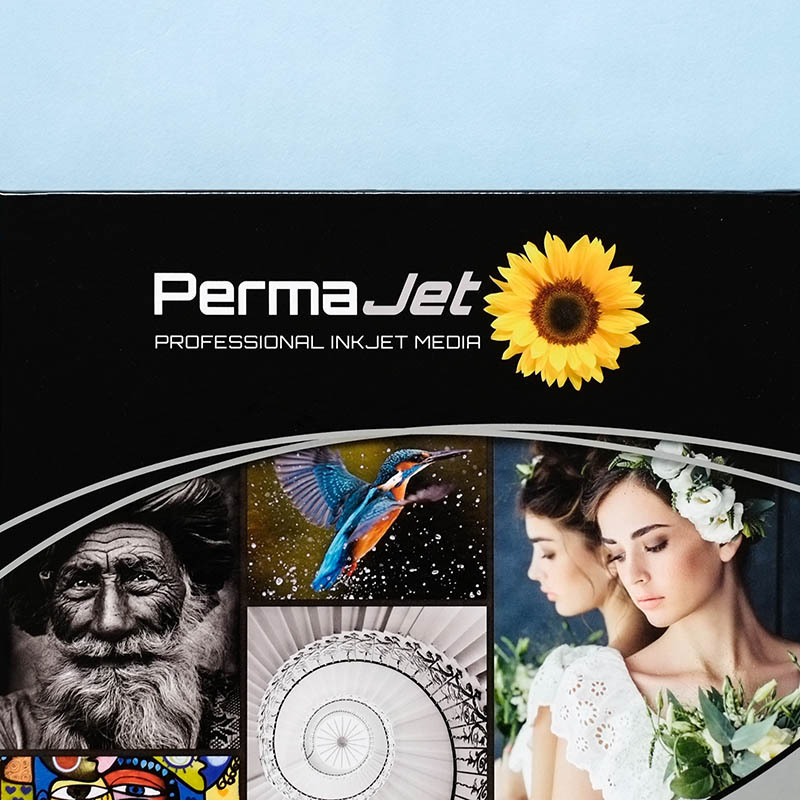 Using Permajet Digital Transfer Film A4 10 Sheets you can create negatives from digital images. All you need is inkjet printer and you can print your own “digital negatives”. You can then use these to print with traditional photographic paper in the darkroom. Additionally, digital negatives are popularly used in multiple alternative processes. Including, Argyrotype, Cyanotype, Salt Printing and Photographic Emulsion. 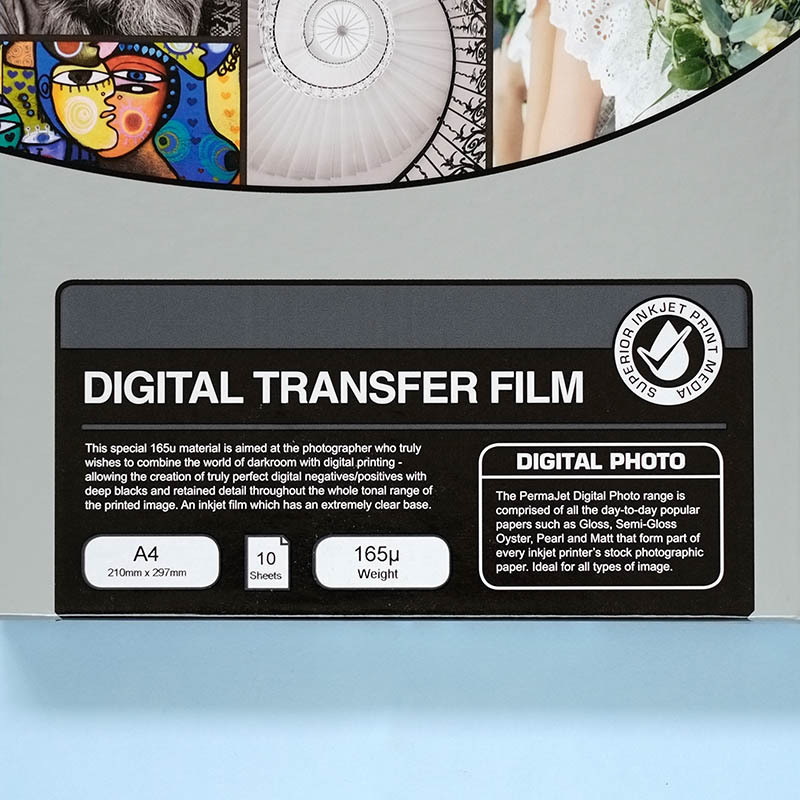 Digital Transfer Film allows you to print any of your images for use these processes. Permajet Digital Transfer Film A4 10 Sheets is a fast drying water-resistant film with enhanced clarity that accepts dye and pigment inks. It has the clearest base on the market. It is 100% pigment ink friendly and quick drying. The improved ink receiving layer handles much more ink than average. The 165 microns thickness, helps creates negatives with deep blacks and detail throughout the whole tonal range of the negative. Additionally, you can use the film for high-key OHP presentations and backlit applications. This pack contains 10 sheets of A4 size Digital Transfer Film.